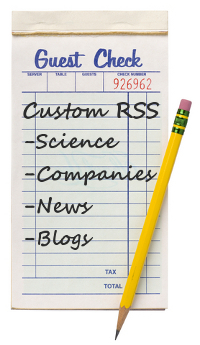 Life science media monitoring service utilizing really simple syndication (RSS) to deliver a news feed or daily emails. After you indicate the life science news, companies, social media, and publications you’d like us to track, we’ll set up a daily email and revise it up to two times to meet your needs. After this, the service will run indefinitely and anyone in your organization will be able to subscribe to daily emails or the RSS feed.